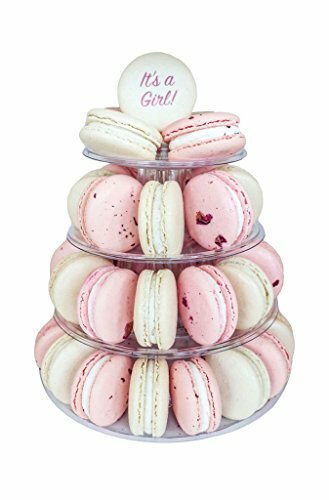 Enjoy a beautiful tower with rose pink and vanilla bean white macarons with a special macaron topper that says 'It's a Girl!' Macarons come enclosed in a protective casing with the tower that requires minimal assembly. Tower holds ~45 macarons. If you have any questions about this product by MACARON by Patisse, contact us by completing and submitting the form below. If you are looking for a specif part number, please include it with your message.